In early voting in May, 1,681 persons voted. That was 32.7 percent of the total number who voted in the May primary. Early voting was conducted for only two weeks. The county’s 13 polling places open at 7 a.m. on Tuesday and remain open until 7 p.m. for the final day of voting. The ballot contains two local referenda plus contests for top state and national offices, including for governor, for U.S. Senator and for the area’s representative to the U.S. House of Representatives. The candidates for the local Board of Education and Board of Commissioners are running unopposed, as are the county’s two representatives to the Georgia House of Representatives and its representative in the Georgia Senate. The first ballot referendum would continue the existing 1 percent Special Purpose Local Option Sales Tax. Revenue from the tax is earmarked for a variety of projects, including road maintenance, water and sewer projects, and improvements at the county’s parks. The second would allow county officials—and city officials under some circumstances—to pass ordinances providing for the sale of liquor by the drink in restaurants in the county. If the second referendum passes in the county and is approved by the majority of voters in any of the county’s four cities, the officials in those cities also would have the power to pass liquor-by-the-drink ordinances. 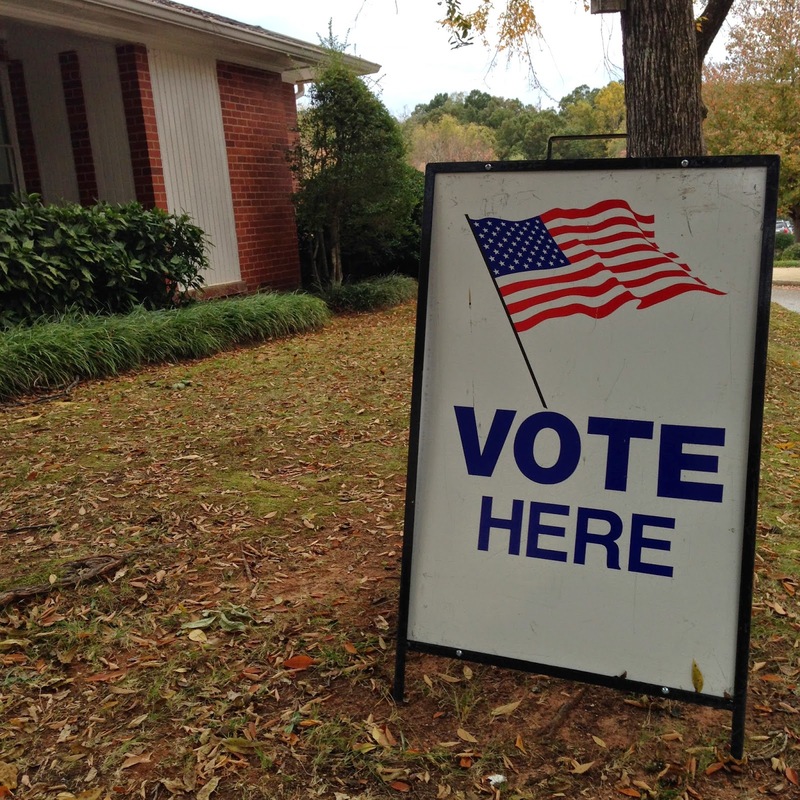 A total of 934 voters cast their ballots today, either at the Board of Elections and Registration Office in Watkinsville or at the Civic Center on Hog Mountain Road. Turnout in the May primary was 23.4 percent of the active voters. In the July runoff, 20.9 percent of the active voters in the county cast a ballot. If the 5,482 voters who already cast their ballot were the same ratio of total voters as early voters were of final voters in May, about three quarters of the county’s registered voters can be expected to cast their ballot by the close of the election. If the May early voters represent only about two-thirds of those who would have voted had they had another week of early voting, then final turnout can be expected to be closer to about 50 percent. 50% turnout?!? That's fantastic. I love hearing that we have such an engaged electorate here in Oconee County. Yeah, it is sad that 50% turnout can be considered good.